The "Cheap Ham Radio" Killer! 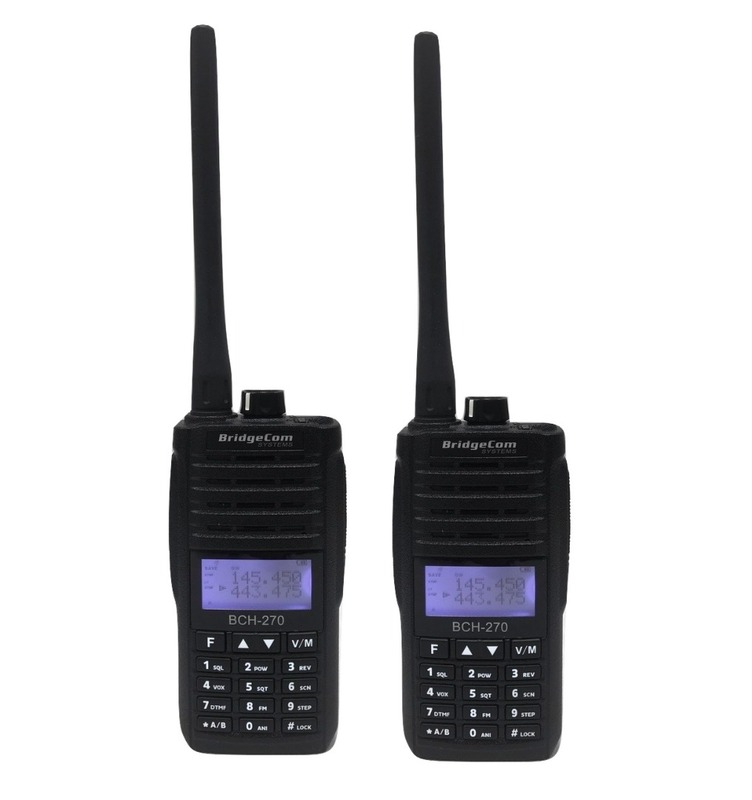 Do you want a radio that is dual band, stays on frequency and doesn’t break the bank? Do you want to buy from a company that is just a call, or email away? Then the BCH-270 is just what you want! Try out the BCH-270 today, you’ll love it. Dell S. said, "My BCH-270 is far superior to the cheap handhelds flooding the market. Solidly built and tough. I've dropped mine accidentally and it never missed a beat. I've compared it to the cheap ones receiving the same transmission and it blows them out if the water on audio quality. Programming is easy without using BridgeCom software and with the software it's a no brainer. While the audio is great quality and loud, I work in very noisy conditions (100+db) so I opted for the hand mic for more ergonomic operating. Very pleased with my purchase. Great quality cost effective dual band handheld HT!" 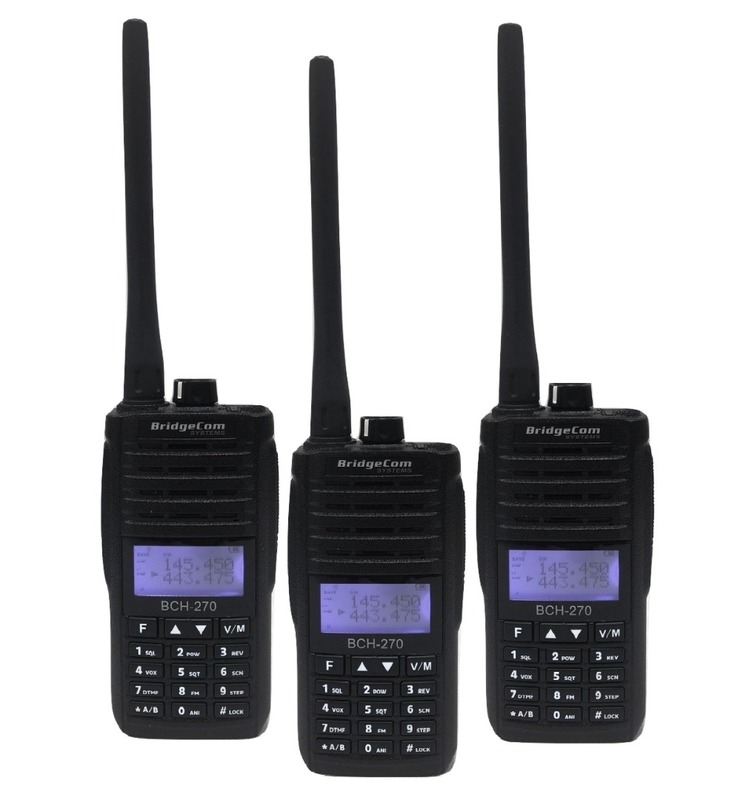 The BCH-270 is small, durable, lightweight and has excellent battery life, up to 12 hours. You can easily adjust the power from hi (5W) to low (2W). It has 256 programmable channels to store all your favorites and it sounds great too. 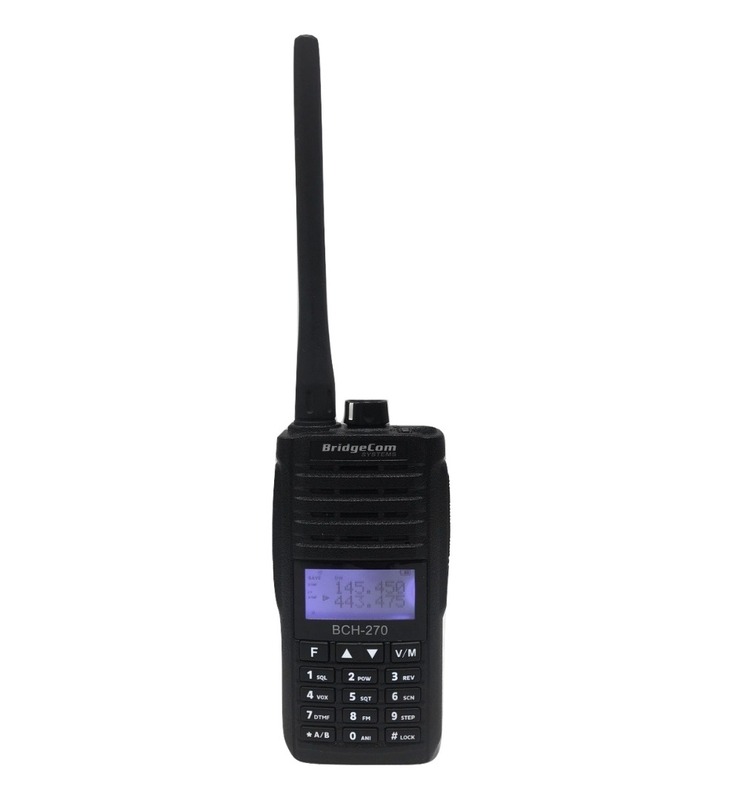 The BCH-270 fits nicely in the palm of your hand and has a bright easy to read LCD display. 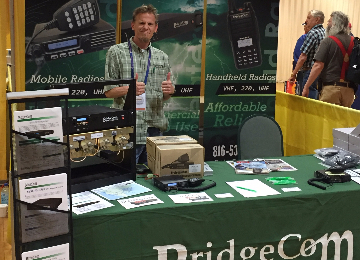 Make your next handheld radio a BCH-270! 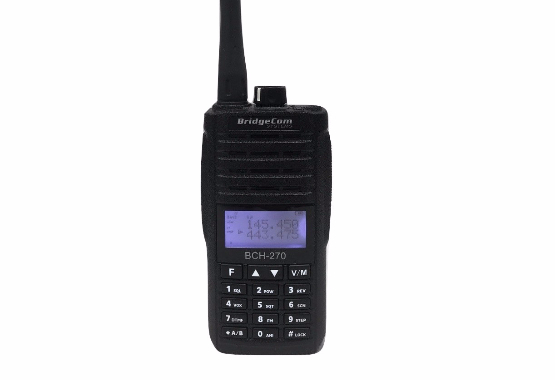 The BCH-270 includes Radio, Battery, Antenna, Belt Clip, Lanyard, Charger Base, Wall Plug, Free Support and One Year Warranty. Download the programming software for Free from our support page. Programming cable sold separate.